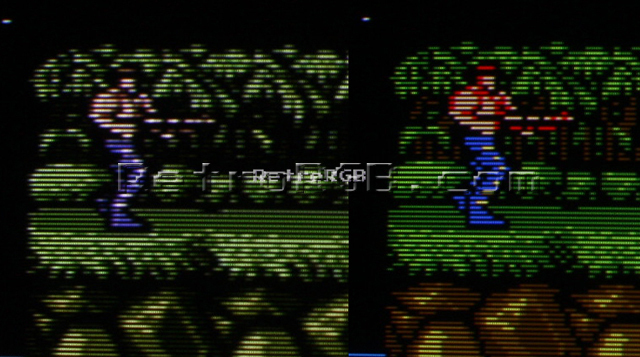 – Difference in picture quality between composite video and RGB. – Difference in color palette between the PlayChoice-10 RGB chips and the original NES color palette. Please see the PC-10 page for an explanation of why there are differences. My personal favorites are FirebrandX’s “NTSC Hardware” and nakedarthur’s “wavebeam2”. There are also firmware files available for the NESRGB that will allow you to use some of these on an RGB-modded NES. Smokemonster also recently put together a similar pack. Feel free to go back to the main NES page, or the the NES HDMI / RGB mods page for more info. Double Dragon (Nintendo Entertainment System, 1988) CIB Complete In Box Minty ! !